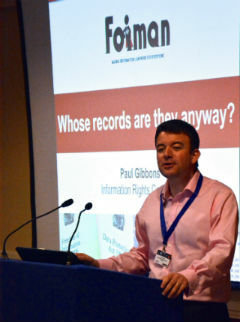 FOIMan lists court cases that have considered the Freedom of Information Act and Environmental Information Regulations. 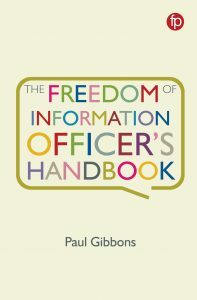 You may have noticed that sometimes the decisions of the Information Commissioner and the First-Tier Tribunal (Information Rights – FTT) are a little inconsistent: between the Commissioner and the Tribunal, between different Tribunals, and sometimes even between different decisions of the Commissioner. This isn’t that surprising because in our system of law, the decisions of the Commissioner and FTT do not set precedent. Precedent is a really important concept in English and UK law. Once a precedent is set, lower courts and decision makers must follow it unless the Government brings in legislation to change the ground rules. 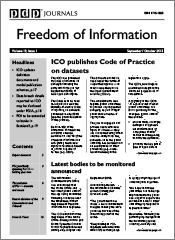 So decisions about FOI and the Environmental Information Regulations (EIR) made by the Upper Tribunal (and prior to that Tribunal being established, the High Court), the Court of Appeal, and the Supreme Court are really important in establishing how the legislation should be applied by public bodies. It’s reasonably easy to locate decisions of the Commissioner and FTT. The Commissioner’s decisions are published on his website. The FTT’s are published on its site (though this is sometimes difficult to locate without a handy link). Court decisions can be found on the excellent BAILII site, but have to be searched for amongst lots of other case law. In an attempt to make things easier for you (and for me) I’ve put together a page here at FOIMan.com which lists precedent-setting decisions. It’s not exhaustive, but I hope I’ve listed some of the important cases, and I’ll continue to update the list. What’s hopefully most useful is that I’ve sorted the list by section of the Act/Regulations. If you want me to add a case to the list, please do send me the link and I’ll add it for everybody’s benefit. 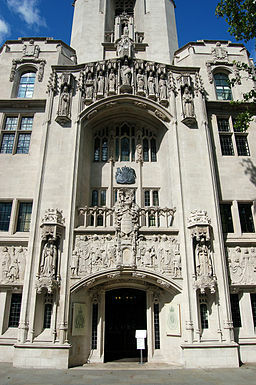 Photo by Rob Young from United Kingdom (Middlesex Guildhall, The Supreme Court, London) [CC-BY-2.0 (http://creativecommons.org/licenses/by/2.0)], via Wikimedia Commons. An absence that quickly comes to mind is South Yorks Police v ICO  EWHC 44 (Admin) – whether redacting time can be taken into account for purposes of calculating s12 time. Good spot – I hadn’t got round to doing many High Court decisions, but that should certainly be added.